One of my favorite parts of being a Filipino is the good food that can be found all over the country. A country’s food can say a lot about its culture and its people. Since it’s back to school season again, let’s take a look at some distinctly Pinoy after-school snack items that not only filled our bellies, but also bring us comfort when we reminisce about them. 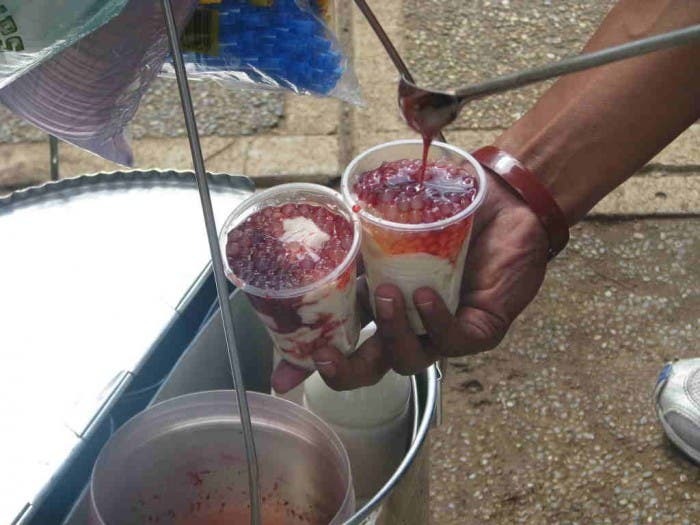 In many Filipino neighborhoods, the taho vendor is probably the most famous guy around. Just at the sound of his distinct voice shouting “Taaaahoooo,” people quickly flock around him eager for a taste of his tasty treat. I have spent many afternoons outside my school’s gate myself sipping on this sweet and sticky drink while chatting with my friends. Most people love cheese and fried food. Put the two together and you get a Filipino street food called cheese sticks. 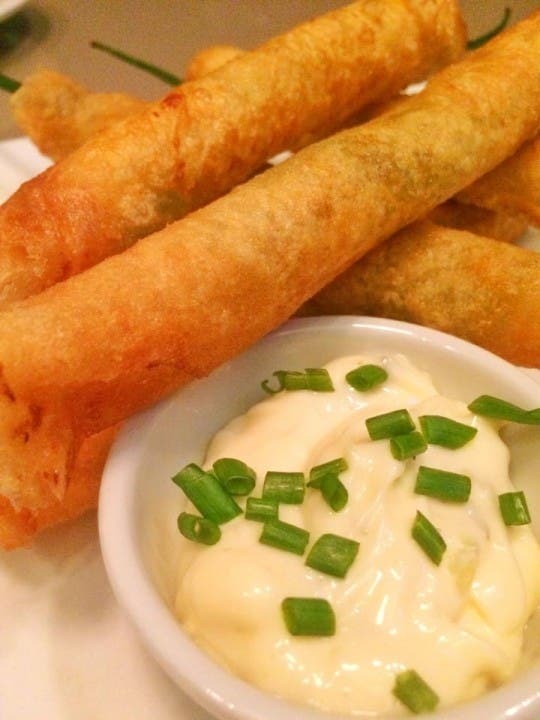 Fried until they’re golden brown, cheese sticks are a favorite comfort food of many Filipinos. To make cheese sticks taste even better, you can dip them in a lot of different sauces. Filipinos are really creative when it comes to mixing and matching sauces, so a lot of unique flavors are often created. Usually served with the vendor’s special sauces, fish balls are a favorite of many. At the end of a school day, students and teachers alike usually crowd around the local fish ball vendor’s cart to eat their fill of fish balls. Since they are relatively inexpensive like many other Filipino street food, they are the perfect snack for those who have to save up. The smell of meat being cooked over charcoal is something you can smell from miles away. Pinoy style barbecue is usually served skewered on bamboo sticks – a good design that makes them easy to eat because they are usually sold off makeshift grills on sidewalks. Despite its name, dirty ice cream isn’t really dirty. Most of the time, eating dirty ice cream (or sorbetes, as it is sometimes called) won’t do you any harm… except maybe packing on a few extra pounds if you eat too much of it. This Pinoy style ice cream is usually made from coconut milk and other ingredients abundant in the country like fresh fruits. In a tropical country like the Philippines, eating dirty ice cream is a good way to fight off the heat. Just as its name suggests, ice scramble is a scramble of many ingredients together. Although it may look like a hot mishmashed mess; the flavors of the crushed ice, milk, marshmallows, and various syrups actually work well together. Because of this, ice scramble is a favorite treat of many especially if the weather is hot which happens very often in the Philippines. 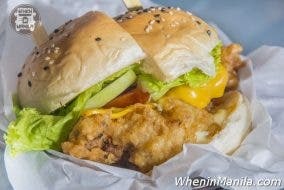 What’s your favorite Pinoy street food?